Conquer the Elite Four by checking our Recommended Pokemon in the Late Game for Ultra Sun and Ultra Moon. 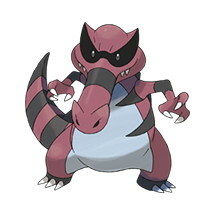 Due to Krookodile’s Dark/Ground typings, it can make quick work of a majority of the Elite Four. It counters three of the four teams, namely Molayne, Olivia, and Acerola. To get Krookodile, search for a dust cloud on Haina Desert in Ula’ula Island to find a Sandile. Krookodile is the third and final evolutionary form of Sandile after Krokorok. Gyarados excels not only during the last parts of the game but also in the early parts as well thanks to its fantastic “Intimidate” ability and dual Water-, and Flying-typings. Intimidate lowers the enemy’s Attack stat by one stage each time the Pokemon is sent out in battle. It is recommended to teach Gyarados “Ice Fang,” “Aqua Tail,” and “Crunch,” as these moves grant coverage against Kahili’s Flying-types, Olivia’s Rock-types, and Acerola’s Ghost-types. By teaching Gyarados the move “Dragon Dance,” it can rack up buffs to snowball and plow through the opposition with ease. 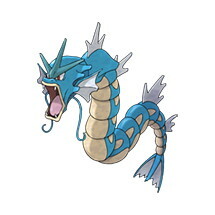 Gyarados is the evolved form of Magikarp. To find this Pokemon, head to Route 5 in Akala Island and use the fishing rod. Magikarp evolves into Gyarados at level 20. It functions as a solid check against Elite Four Kahili’s Flying-types and Elite Four Olivia’s Rock-types with its electric and Steel type moves. To obtain Magnezone, you must evolve the Magnemite caught in the tall grass near the Trainer’s School on Melemele Island. Magnemite evolves into Magneton, who will then have to be trained at Vast Poni Canyon in order to evolve into Magnezone. 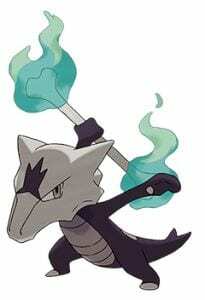 Alolan Marowak is a Fire/Ghost type, which allows it to effectively sponge Normal, Fighting, and Fire-type moves. Despite providing great type coverage, Alolan Marowak needs to be wary of switching in when its HP is less than half. This Pokemon cannot do much if it switches in on an attack at low HP due to its lackluster speed. It can be found with the “Lightning rod” ability which makes it immune to Electric-type moves. It can also learn Ground-type moves which makes it further effective when dealing with Electric types. 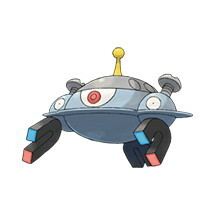 This Pokemon is advantageous over Elite Four Molayne’s Steel-types, and Elite Four Olivia’s Rock-types. In order to obtain an Alolan Marowak, you must capture and evolve a Cubone that resides in Wela Volcano Park on Akala Island. A Ground/Dragon-type that fares excellently against a majority of the trainers that you face in the Elite Four. Similar to Gyarados, it learns “Dragon Dance” which enables it to have sweeping potential, and “Earthquake” which is a reliable coverage moves against a majority of the Elite Four barring Kahili. The downside to these moves, however, is that they require Heart Scales to be spent before they can be used. 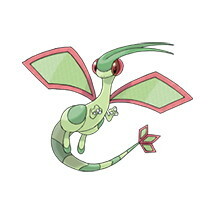 To obtain Flygon, you need to capture Trapinch which is available in the dust clouds on Haina Desert on Ula’ula Island. Its high Base Stat total makes it an excellent choice for the later parts of the game. 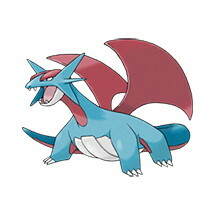 To get Salamence, you must evolve Bagon which can be found in Kala’e Bay on Melemele Island.